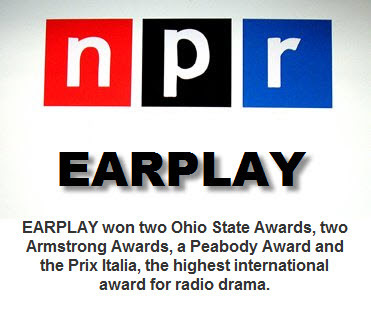 Earplay was the longest-running of the formal series of radio drama anthologies on National Public Radio, heard from 1972 into the 1990s. It approached radio drama as an art form with scripts written by such leading playwrights as Edward Albee, Arthur Kopit, Archibald MacLeish and David Mamet. is actually a mistitled copy of "Chinaman's Chance" from the same series. is actually part One of this two-parter; the rea; part two is apparently missing or lost. I heard Peg Lynch (Ethel and Albert, Couple Next Door) contributed to Earplay. Does anyone know about this and if so where can I download/purchase the episode(s)? Ethel and Albert ran on Earplay for the month of 2/73. I read somewhere that University of Oregon has reel to reel copies. Does anyone know where or how I can obtain a copy of the original radio script of "Wings"? Please advise and thanks!